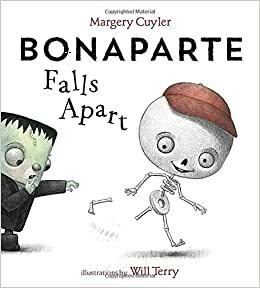 Bonaparte is a skeleton whose bones frequently fall off. His friend, Franky Stein, has many creative ideas to help keep Bonaparte in one piece, but it's not until the friends spot a puppy that Bonaparte has a solution. This story, with its bone related puns, will be a delight to read aloud. Although a silly story, Bonaparte and his friends show their cleverness and determination in solving Bonaparte's problem. Many young readers will also be able to relate to Bonaparte's worry about how others will perceive him when he starts school. This is a picture book that kids will love. 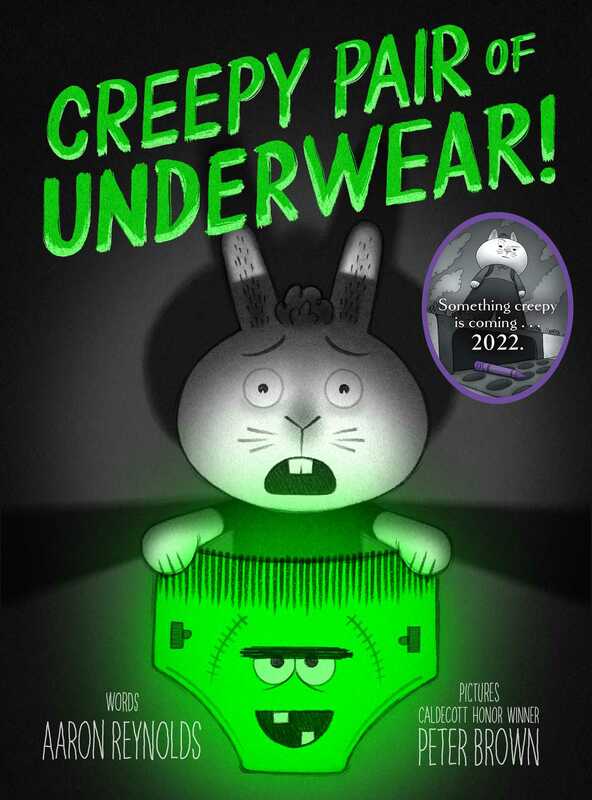 The story of Jasper Rabbit and his creepy underwear that frighten him while he tries to sleep at night is a little spooky and very amusing. Read more of my thoughts about this book that is sure to delight young readers here. 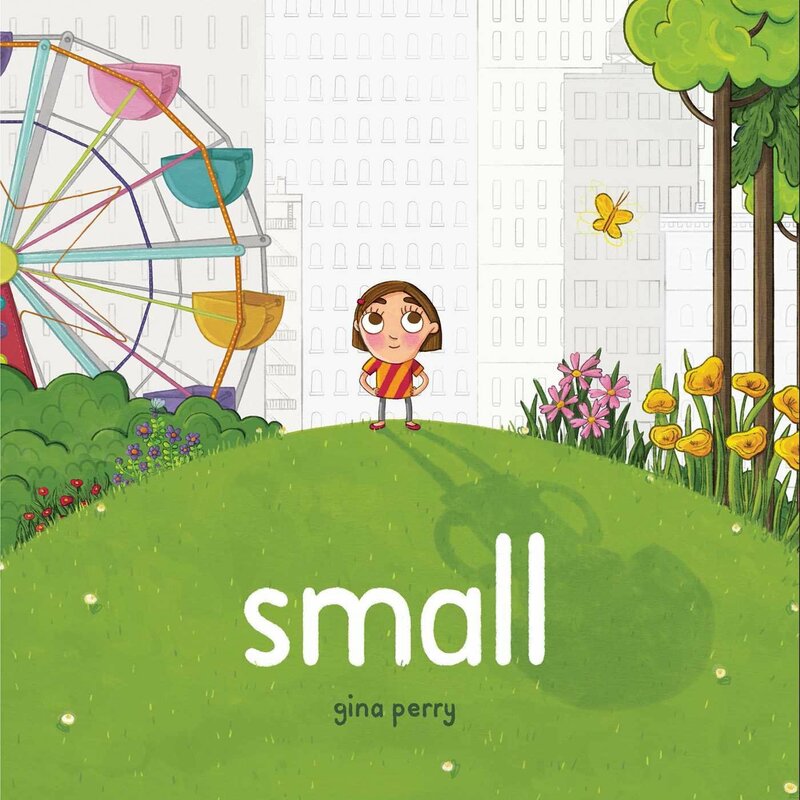 A little girl names all the ways she is small, but realizes she is bigger than she thinks. This is an empowering story. One that can help those who may feel small in the world see that their interests, talents, and dreams can make a difference. Every time Calliope's mother breaks up with a boyfriend they have to move. Calliope is starting a new school after their most recent move and she is having a hard time fitting in because of her differences. The other kids don't understand that she has Tourette's Syndrome. The book is partly told through Calliope's perspective and written in verse. Part of the story is told, in prose, through the perspective of Jinsong, Calliope's neighbor, who is conflicted about whether or not to be her friend. This is a touching story about differences and friendship. Lily's family gets the news that her dad has died while returning from a climb up Mt. Denali. Lily holds onto the hope that her father is alive even though everyone around her knows that it's impossible. 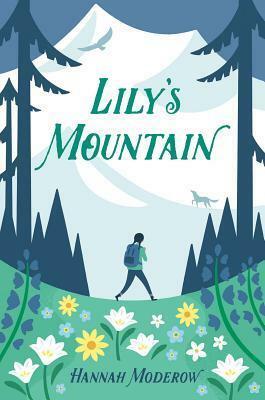 Lily thinks she can find him so she convinces her mother to let her go with her sister to the mountain. Lily's journey captures the beauty and danger of hiking through the Alaskan wilderness. Lily is determined and resilient and although she doesn't find what she wants she gets the closure she needs. This book publishes in November. Five kids start the school year with a teacher who is not the one they originally expected they were going to have. As the school year progresses, the focus on the statewide assessment test becomes more intense. The students are not only dealing with the pressure to ace the test, but their own individual struggles with family, friends, and school. Rob Buyea, as he did in the Because of Mr. Terupt series, has created interesting characters each with their own unique voice. The story is told in alternating perspectives of the five kids. The adults in the story learn something about testing and the kids learn about compassion, kindness, and friendship. Look for this book in October. This book has been on my to-read list since hearing about last winter. Cassie Beasley's Circus Mirandus is one of my all-time favorite middle grade books. This is another beautifully written story of magic and adventure. Blue has recently been left by his dad with his grandmother in Murky Branch, Georgia where he is befriended by Tumble, a girl who is determined to become a hero. Together, Tumble and Blue set out to break the curses that they believe have been placed upon them for life. 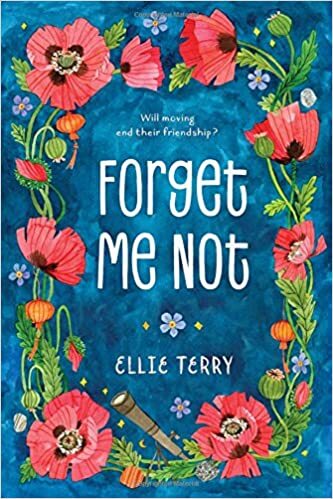 This is a compelling read about bravery and friendship. Adding all of these to my Neverending Reading List. Thanks for sharing! Thank you for sharing so many wonderful books with us! Hope you have something to add to your TBR list! I'm waiting for Tumble and Blue because I loved Circus Mirandus. 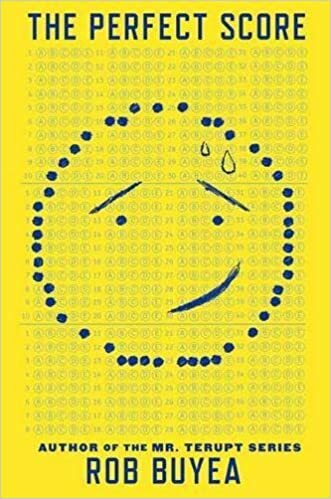 The Perfect Score looks like an important book. It has the magical realism like Circus Mirandus, but very different. For me, I don't think any book will ever compare to Circus Mirandus. Oh boy, any book with underwear on the front cover is going to be a big hit! I know, right?! For a book about underwear, it's really well done! 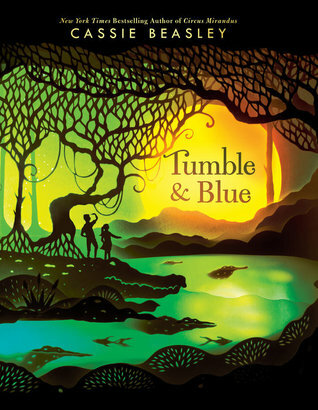 I loved Tumble and Blue! I've been throwing around putting it on our Mock Newbery. I think Cassie Beasley has a wonderful way of telling a story! I have an ARC of The Perfect Score and I'm looking forward to reading it! I really loved Tumble and Blue and its message of friendship. 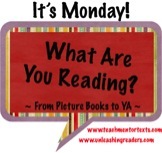 I received Lily's Mountain through you via our #bookexcursion but need to finish a couple other books. Must get reading!